The latest new model from DS Automobiles, DS 3 CROSSBACK is the luxury compact SUV, combining refinement and advanced technology. With its striking design, DS 3 CROSSBACK stands out as modern, sophisticated and elegant. 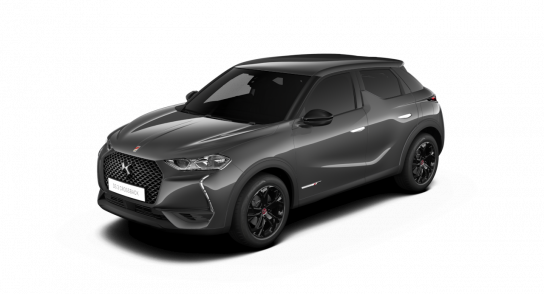 With fresh athletic styling, high-tech experienced offered by its advanced techology and indulgence with refinement and attention to detail. DS 3 CROSSBACK is identifiable at first glance as a premium, compact SUV, with its well-proportioned length of 4.12m, broad on-road stance and large wheels (690mm, 18’’), as well as its ground clearance. Attention-to-detail is a hallmark of the DS brand and is visible everywhere, starting with the vehicle exterior: non-visible weather-strip seals, elegant flush-fitting door handles, roof line is clean, with no visible antenna, side shark fin, and chrome-finished twin exhaust tailpipes (ICE engine models only). 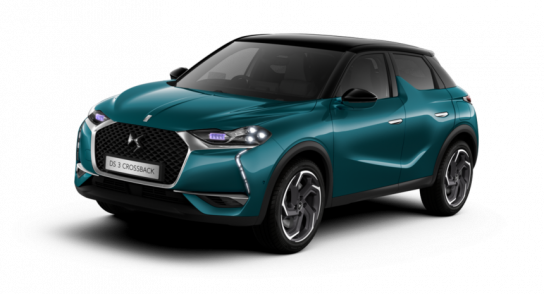 Personalisation on the DS 3 CROSSBACK starts on the outside: 10 wheel themes, 10 body colours – including the superb Millennium Blue seen on the DS X E-Tense Dream-Car – and three roof colours are available. The interior features grained or full-grain Nappa leather with an “art leather” finish, top-stitching in a pearl or diamond pattern, braided textiles, Alcantara®, a steering wheel fully upholstered in full-grain leather including the airbag cushion, chrome trim features with a Paris Hobnail guilloche design, etc.